The recent news coverage of how the Obama administration counted insurance enrollment under the Affordable Care Act (ACA) — some are calling it "Dentalgate" — downplays the importance of dental coverage, relegating it once again to the sidelines of healthcare. Administration officials missed an opportunity to publicly recognize the ACA’s role in expanding access to affordable dental coverage, something that’s long been an unmet need in the U.S. According to the GAO, out-of-pocket costs for dental care increased by 26% between 1996 and 2010. Moreover, in a 2013 national survey, nearly 4 out of 10 Americans said either they or a family member delayed dental care in the past year because of concerns about how to pay for it. More than 1 million Americans have selected dental coverage on the federally-run marketplaces alone; this demonstrates the demand for dental benefits. Tooth decay remains the most common chronic condition of childhood and, if left untreated, the impacts of the disease are lifelong. It is crucial that we treat dental coverage as an important part of health coverage rather than an afterthought. By including children’s dental benefits as one of the ACA’s “essential health benefits,” Congress recognized that children's oral health is a critical piece of overall health. 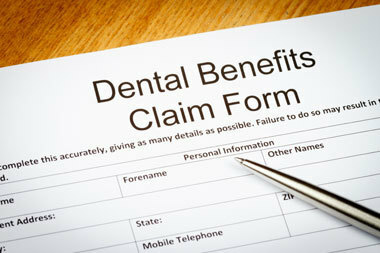 However, dental coverage is unique among those benefits as it can be sold separately from medical coverage, resulting in additional challenges to affordability as we’ve previously noted. About a third of all health plans on the new health insurance marketplaces include children’s dental benefits but many families have no choice but to purchase their children’s dental coverage through a stand-alone plan. Recent news coverage appears to have overlooked this complexity of the law. Because dental coverage is both an integral piece of the ACA benefit package and because it is unique, it’s important for the Administration to continue to track dental enrollment data. In order to do so, the Centers for Medicare & Medicaid Services must not only provide data on separate dental plans but also report the number of children enrolled in health plans that embed children's dental benefits in their products. Sharing detailed enrollment data is imperative if we are to evaluate the law's impact and identify remaining barriers to purchasing that coverage. The ACA is an enormous opportunity to expand dental coverage to millions of families who would otherwise be unable to afford it. Sharing detailed enrollment data is imperative if we are to evaluate the law's impact and identify remaining barriers to purchasing that coverage. This is especially important as more than 8 million children would be forced to seek health and dental coverage on the health insurance marketplaces if Congress does not extend funding for the Children’s Health Insurance Program (CHIP) in the coming months. The emergence of the term “Dentalgate” on social media risks obscuring the most critical point of all. Dental coverage matters and should not be viewed as an insignificant, ancillary item. We hope that reporters and health officials will bear this in mind.